Welcome to this unique two-day workshop on creative photography. This intensive workshop aims not only at teaching you the fundamentals of photography, various manual settings for improving your compositions but also infuse creative thinking, planing and execution for arriving at amazing results. 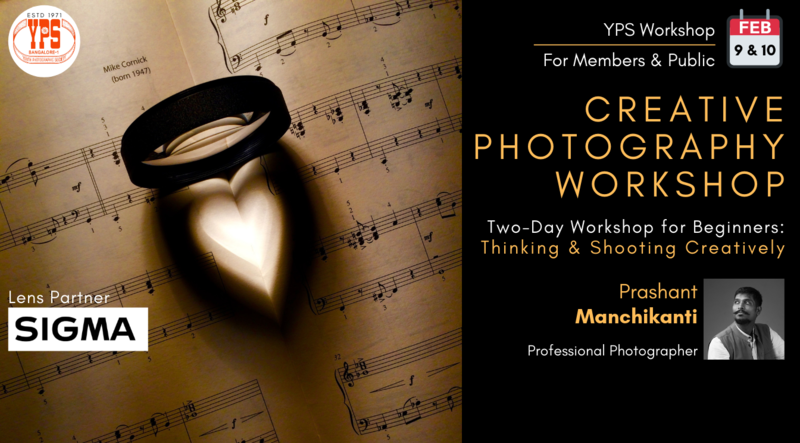 The skills that you will learn in this workshop will be useful throughout your journey in photography. This workshop will expose you how to develop a concept, show relevance and meaning into your photographic compositions. You will work in groups to nurture creative thinking, through hand-on shooting using natural and artificial light. At the end of the workshop, each group will be given a chance to project their images and talk about the creative process and the thought. You will be provided with concepts, props to use and simple every day lighting tools to create some amazing visuals. There will be a session on how to use post-production using Photoshop or similar softwares. So, come be a part of this wonderful photography experience and start shooting like never before ! Participants will be provided with concepts, props to use and simple every day lighting tools to create some amazing visuals. Our lens partner for the workshop will be Sigma. All the participants will get an opportunity to experience the wide range of Sigma lenses during the workshop. Participants can use the lenses during the practical session for free of cost! The participants will have to bring the camera, DSLR or Point & Shoot along (with fully charged battery). Course Fee for YPS members is Rs. 2500/- per person. Member must be logged-in to register as a member. Course Fee for Non-members is Rs. 3000/- per person. Click here to become a YPS Member. Course Fee includes lunch and refreshments during breaks. Cancellations are permitted till Feb 7, 2019 with a cancellation fee of 50% of the fees. Cancellation is not permitted after Feb 7, 2019. Registered participants can send a Cancellation Request through email to contactus@ypsbengaluru.com. The workshop will be conducted by Mr. Prashant Manchikanti. Prashant Manchikanti first started his artistic journey with film photography before moving onto the digital medium. He regularly shoots street scenes, landscapes, portraits and still life. His techniques are influenced by photographers like Yousuf Karsh, Ansel Adams, and David Alan Harvey. 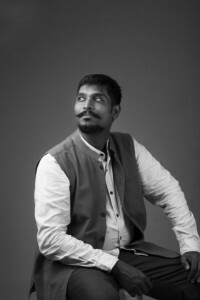 He is a life member and on the executive council of the Telangana Photographic Society (formerly the Andhra Pradesh Photographic Society – APPS) where he regularly coordinates various exhibitions for the society as a member of its exhibition committee. 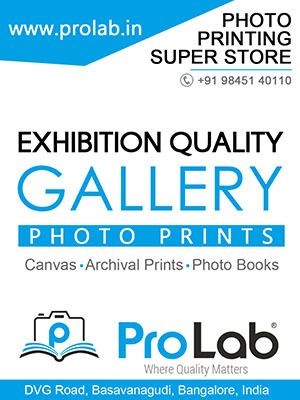 The latest exhibition of the Society was the annual “GALLERIA 2015” organised in collaboration with the Telangana state government and the Tourism Department at the State Gallery of Art in Hyderabad with 120 photographs on display from 40 different photographers. He also curates and presents “PERSPEKTIVEN”, a concept group photo exhibition started at the Goethe-Zentrum Hyderabad, the German center for culture. The first edition of Perspektiven in September 2014, which received close to 100 entries, exhibited the works of 36 photographers. The second edition in 2015 was equally a success with close to 50 photographs on display. He has also recently exhibited his works in Germany on the theme of Indian cinema culture and Cinema houses of Hyderabad. This was a part of the prestigious India Week celebrations in Hamburg, Germany where the works were displayed at the Rathaus, the town hall of Hamburg. Prashant Manchikanti has also curated and presented a digital photography exhibition called DAWAT-E-HYDERABAD showcasing the spirit of Hyderabad at the Hyderabad Literary Festival 2016. This exhibition was presented on large screen projections bringing a larger-than-life viewing experience to photography lovers from across the country. This first of its kind display medium was well received by thousands of viewers. Prashant Manchikanti has taught photography at the prestigious Annapurna International School of Film and Media, Hyderabad. He also regularly conducts photography workshops through the year for beginners and amateurs on various themes. He has trained more than 500 photography enthusiasts through various workshops. He conducts photography sessions in various multinational corporations as well. His workshops focus on demystifying the concepts and bringing a dimension of artistry and expression within the reach of learners. He is known for his openness, creative approach and think-out-of-the-box ideas with practical works and projects. He encourages his students to look beyond the obvious for creating timeless works of photographic art.